So simple is the Breville BJE200XL that you can operate it in your sleep! With no straight lines, the Breville BJE200XL marble white juicer is decked out in plastic from the top and fitted with a powerful 700 Watt motor within that operates at 14,000RPM. This compact juicer hardly takes any counter space, while maintaining an impressive juicing efficiency unlike any other in the market. Its got stainless steel micromesh filters, titanium cutting discs, a stabilizing knife and a dual knife blade centered assembly. Basically, it has got the right equipment or hardware to maximize juicing efficiency without dropping the output levels. 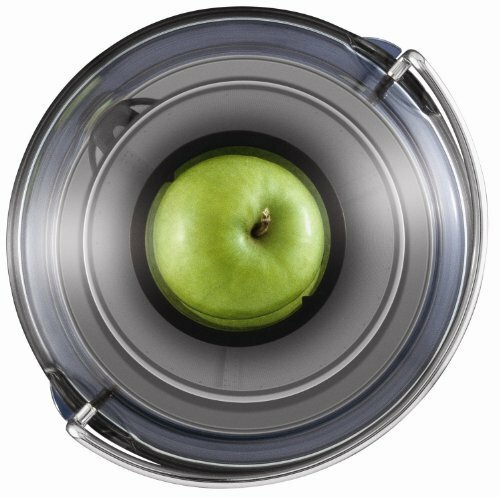 The Breville BJE200XL is not just affordable but also technologically advanced with plenty of ergonomic considerations such as the 3 inch circular feed chute that can accommodate whole fruits without the need to slice them up. 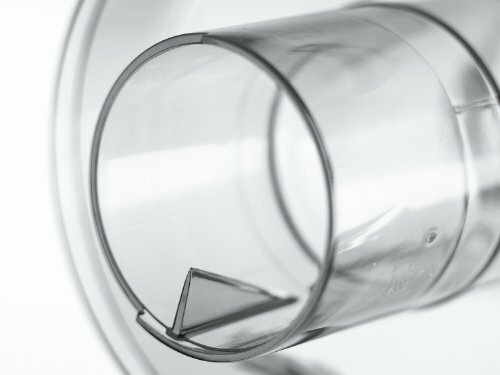 Not all centrifugal juicers tend to draw my attention. The Breville BJE200XL however caught my undivided attention because of three things. First, it is mighty affordable even for a centrifugal juicer. Second, it receives excellent reviews on Amazon and plenty other places. Finally, it is super easy to clean up afterwards. I personally hate raw food and trying to gulp down a glass full of coarse vegetable and fruit extract is not something that I look forward to. Many centrifugal juicers that I have tried in the past never really juice the raw products properly leaving a bit of squashed pulp in the juice. However, the Breville BJE200XL is so powerful that it manages to squeeze juice from pulp without the need of manual intervention with a tamper. Yes, finally here is a centrifugal juicer that needs no additional effort to get clear juice out of. The only real concern with this juicer is that it tends to spew ingredients out from the top, so you will have to hold your hand firmly on the lid.Design wise, everything about the Breville BJE200XL is top notch. 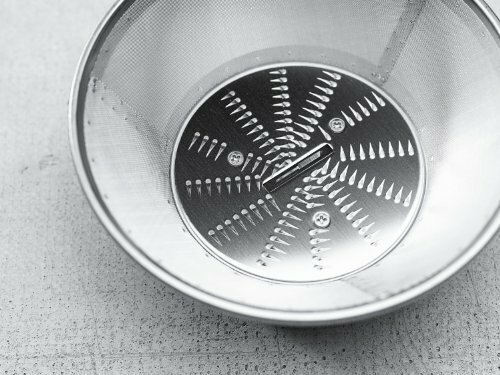 Starting with the plug that is a molded loop to the basket design that needs no tools to get into place, this juicer combines together simplicity with superior technology to bring out the best in juicing performance. Cleaning up is mighty easy with this juicer as it takes under 2 minutes without the use of a dishwasher. The only real complain from my side is that the pulp tends to come out a bit too wet for my liking. This is probably because the Breville BJE200XL takes less time to process pulp. I won’t mind this as long as the unit lasts longer than previous centrifugal juicers. It’s already two weeks old so another 50 odd weeks more before I am satisfied with its construction. Reviewers have managed to extract a good 2 to 3 years out of this particular model, so that is comforting to hear. So simple is the Breville BJE200XL that you can operate it in your sleep. This juicer doesn’t even need the intervention of a tamper to push ingredients down the chute. It is powerful enough to drag everything down to the blades and squish it to microscopic pieces. Just remember to keep a firm hand covering the top of the chute otherwise be prepared to cleanup afterwards. Breville introduces snap locking mechanism throughout this model which lets users remove each component quick and easy. Takes just 2 minutes of rinsing to get the unit back to service quality, so no worries there. Great but not the best, in fact it is at par with the 510XL but lacks a bit of the finishing touches such as reducing foam and removing coarseness of the juice. Alarmingly, the Breville BJE200XL actually manages to produce a high yield, which in turn leads to a drier pulp residue. Overall, the yield is excellent for a centrifugal juicer although not at par with masticating units. So powerful that it will churn through bone and ligament. Keep your fingers close and your sleeves folded up because this juicer will not differentiate between fruit and finger! You will not believe the low audibility of the Breville BJE200XL until you try one. If you get the change do give it a go at your local kitchen appliance store. A person in the third aisle from you won’t even realize that a juicer is running. 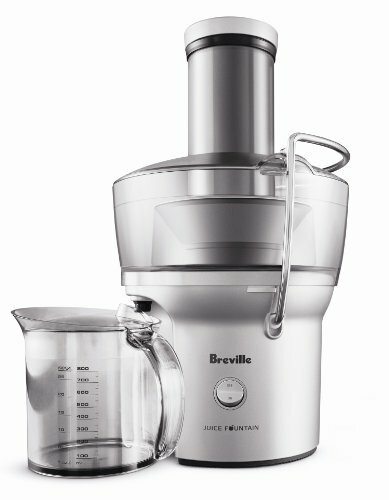 So you won’t be able to juice wheatgrass or green leafy veggies with the Breville BJE200XL. 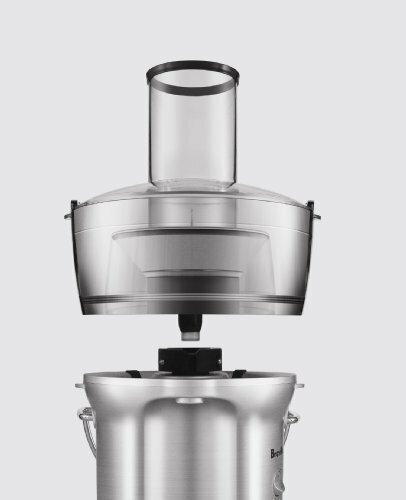 You may not even be a fan of wet pulp but once you use this centrifugal juicer you will start understanding why Breville juicers are so much in demand. Pros: Easy to handle, good reliability, this juicer is designed for the long haul even though it isn’t as sturdily made as some of the higher models. Cons: Nothing is really amiss with the BJE200XL although it could have done better in terms of construction, yield and quality. 14,000RPM at 700 Watt peak output. Stainless steel micro-mesh filters with titanium cutting discs. Centrifugal juicer with compact footprint. Centered stabilizing dual knife assembly. Large 3 Inch central feed tube, circular design for larger fruits.